Have you noticed that sometimes you find something useful on a website and then, when you want to take another look, it can be difficult to find it again if you haven’t bookmarked it? Actually, sometimes even setting a bookmark doesn’t help if you’ve got a long list of bookmarks as I have! Hopefully this ‘Visitor’s Sitemap‘ will help you avoid that problem on this site. The top section shows our pages in which we describe our roofline replacement service, the professional process we follow in all our jobs, the testimonials our customers have submitted to the referenceline site and other useful information. Further down you will find our How To.. posts. 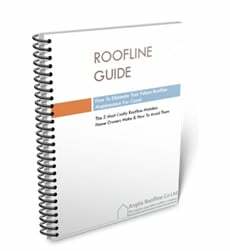 These contain useful insights if you plan to do your own roofline maintenance or replacement. Customer Service - Is It Genuine?